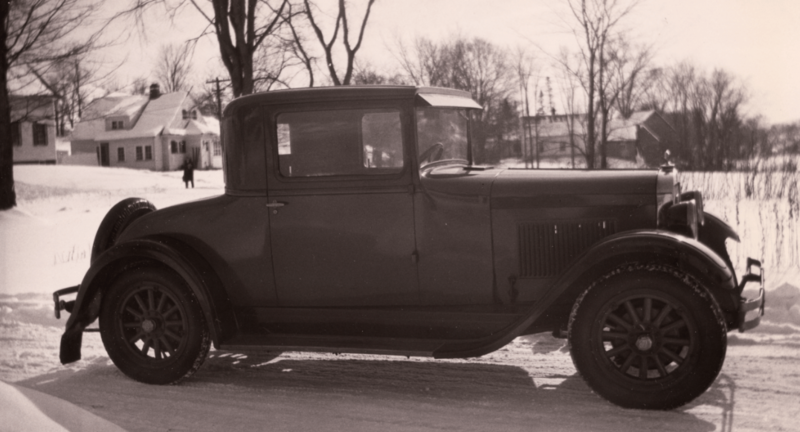 Automobiles pictured in the photographs of the Norwich Historical Society’s collection can provide interesting glimpses of what was being driven in Norwich over the years. They can also help us date the photos based on the age of the cars. 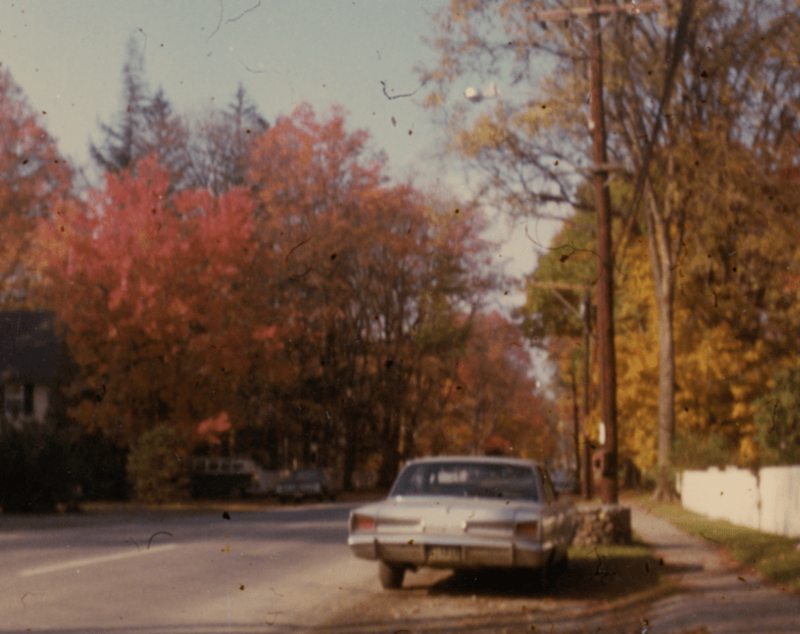 For example, this photo most likely dates to the mid-1960s because it pictures cars that would have been common at that time- a circa 1963 Chevrolet coupe, a truck that would date from roughly the same era, though the grille is covered by a maple tree, and what is likely a foreign car from that time period, perhaps a Fiat, parked in the garage. It was also interesting to hear automotive stories from longtime Norwich resident Bill Aldrich. At about age 10 -12, he and his friends played a game where they sat on the edge of Church Street, part of Route 5, which was the major route through Norwich before Interstate 91. They would watch for cars, check the license plates, and count as high as they could starting with the rightmost number on the plate. They would look for a license plate ending with 1, then 2, 3, etc. One time this game proved helpful to a state police officer who, when noticing that the group was writing down license plate numbers, asked if they had recorded the number of a certain car he was trying to follow. When the officer learned that they had, he knew he was still on the trail of that car. Another time while playing the game, the friends saw a Canadian-registered car come speeding through and immediately thought that the driver would not make it through downtown without hitting something. Indeed, they soon heard a crash and saw that the car had run into the war memorials that were in the triangle at the junction of Church Street and Main Street, scattering pieces of them as far as up Elm Street. Fortunately, the driver was not seriously injured and the memorials were repaired and rebuilt next to Tracy Hall. Although many of the locations pictured here still look roughly the same, it is easy to tell by looking at the cars that they were taken in another era.